Take for example Dale Humphries of Arcticology, who has through Earth Mantra released every album he has thus far created. As we listen to his latest creation, entitled Eternal Now, we are reminded of what a joy indeed it is to hear another chapter in this friend's story. And we count ourselves fortunate to be able to truly understand. 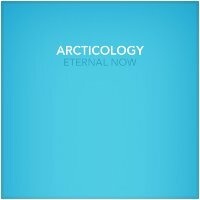 Earth Mantra is proud to submit to you Eternal Now by our friend Articology, one of the finest ambient albums we have ever heard. May there be many more such stories we have to hear from this exceptionally talented artist. The last Articology release on Earth Mantra 'Haven', out at the beginning of this year has been featuring on my playlist ever since and has been a true classic for me. Now, with 'Eternal Now', Brit Dale Humphries has managed to keep things consistent and at this high level. This album is so shimmeringly beautiful - it is certain to become a true classic in my record collection and sit rightfully beside 'Haven' as an excellent follow-up. Again! Dale Humphries proves yet again that he truly understands the nuances and subtleties of the Ambient Music genre. Here you'll find peaceful drones; thoughtful hints of piano; quiet reflections; pensive pastorals; & shimmering, moody moments along the borders of darkness (but never over the sonic edge into Dark Ambient). A beautiful and masterful work all around!